In an event held in New Dehli to unveil its latest dual camera android smartphone called Xiaomi Mi A1, fans were left awed. The acronym A1 means Android one, meanwhile, the device is powered by stock Android 7.1.2 Nougat. 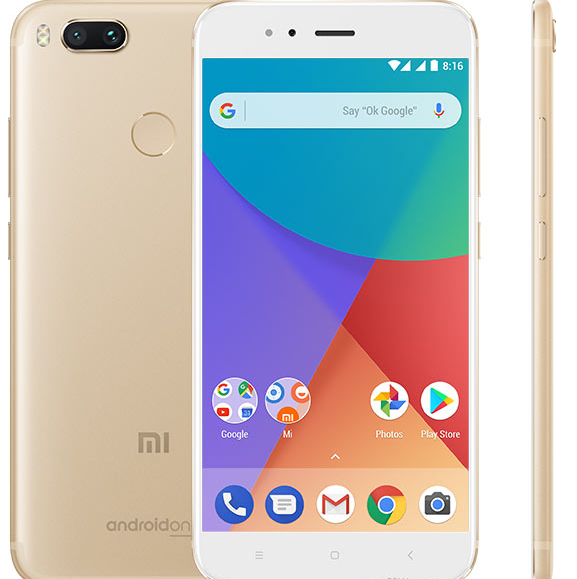 Xiaomi Mi A1 comes with a snapdragon 625 chipset, designed on the 14 nm process, coupled with a massive 4gb ram and 64gb of internal storage capacity. The device comes with a screen size of 5.5” and sports Full HD resolution. The device comes with dual back cameras, looking just like the Xiaomi Mi 6 with a dual-tone LED flash. The device's fingerprint scanner is also very close to the cameras, but just below it, you can see an “Android One” label, placing the phone in the portfolio of Google’s affordable devices for developing markets. Under the hood is a 3,080 mAh battery, charged through USB-C. The significance of the stock Android is that Xiaomi is launching the Xiamoi Mi A1 without MIUI 9, but the Chinese manufacturer is keeping the MIUI camera app. The device's operating system would be updated to Oreo later in the year. Also, The Mi A1 will be one of the first phones to get the Android P sometime next year. This beautiful device comes with a hit on your pocket, costing INR14,999 (just under €200). It is going to be available in 37 countries across the globe and sales are starting on September 12 in various online and offline stores. The Xiaomi Mi A1 comes in Black, Gold or Pink.